Since 2009, the independent Expert Scientific Advisory Committee (ESAC) meetings that convene to review MMV’s malaria drug projects have been held annually in partner locations across the world. At each of these locations, MMV and its partner(s) in the city have organized a Malaria Symposium to share scientific knowledge with local scientists and raise awareness about malaria and MMV. 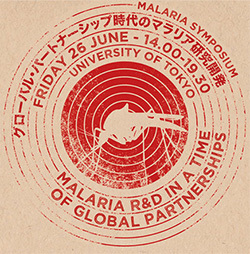 This year’s Malaria Symposium, co-hosted by MMV, GHIT Fund and the University of Tokyo aims to share scientific knowledge and to strengthen collaborations between MMV and Japanese research institutions. It will be held at the University of Tokyo, after the completion of ESAC’s deliberations.